A few weeks back I created this makeup look over on my YouTube channel. It was my first time trying Girls With Attitude (GWA) makeup and I was pleasantly surprised. 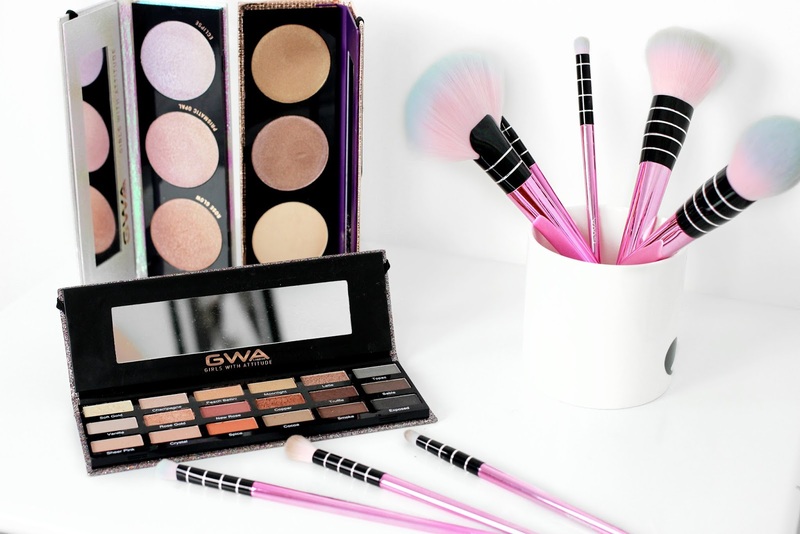 GWA are a London based cruelty-free beauty brand, which includes makeup, lashes, nails and brushes. One of my favourite products is the Ultimate Goddess (£14.99) eyeshadow palette. I used this to create this stunning rose-gold eye look. 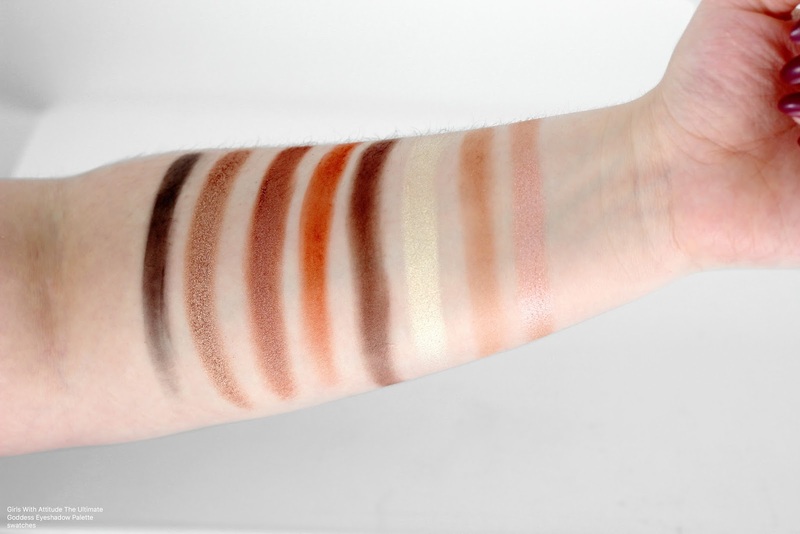 This palette has 18 shadows (incl. champagne, rose-gold, warm toned red, smokey browns and greys) in matte, metallic and shimmer finishes. The shadows have a velvety smooth texture and blend beautifully. I've been using this palette a lot the past month and I always achieve such beautiful eye looks. The quality of this eyeshadow palette is incredible especially for such an affordable price. 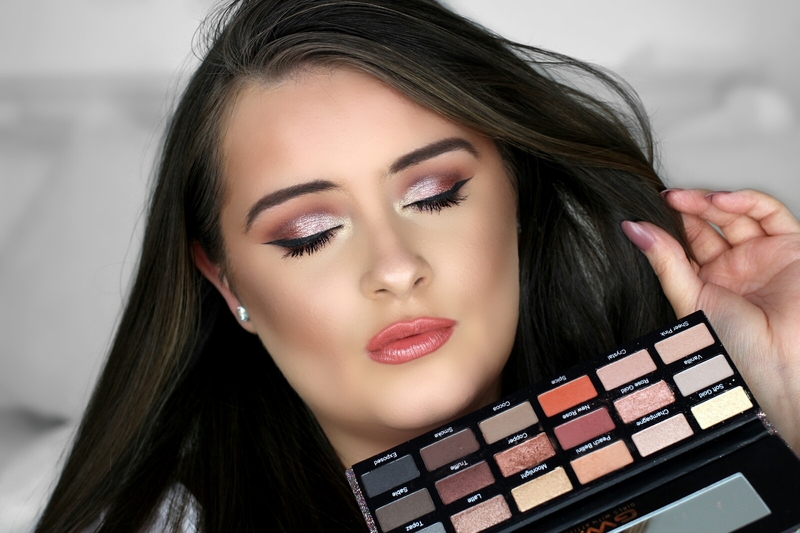 The Iridescent Ombre Highlighting palette (£15.99) is another of the favourites. This is a very pigmented highlighting palette that contains 3 velvety smooth ombre highlighting powders. The formula of these powders are spot on, they give the cheeks such a beautiful wet-look glow without any chunky glitter, yayyy!!! Look how stunning the Girls With Attitude Flamingal brush set is!! This set contains 7 face brushes and 10 eye brushes. I love the metallic pink handles and the super soft ombre bristles. Have you tried Girls With Attitude? Do you love them as much as I do?